Just Say Yes Events: Alice In Wonderland. 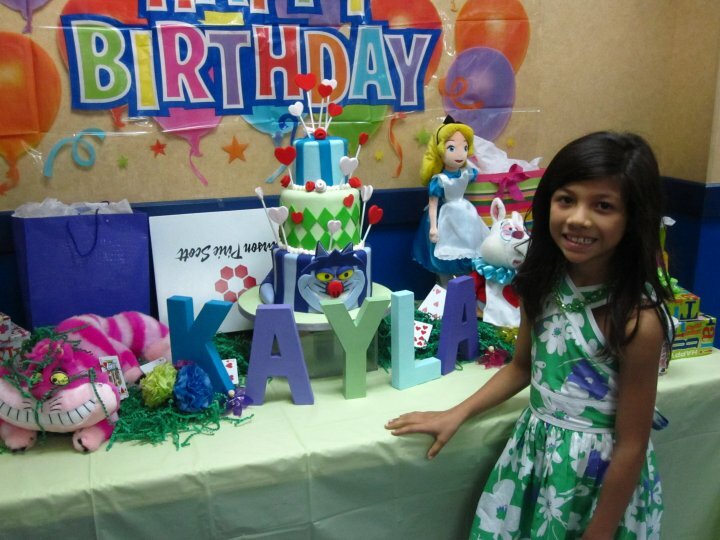 This past weekend was my daughter Kayla's 9th birthday. For months we had been awaiting the release of the new movie Alice In Wonderland and immediately wanted utilize the movie as inspiration for her birthday. After many phone calls, emails and headaches I found a theatre in Skokie Illinois that not only had an event space but allowed us four hours in the room which was amazing! Skokie Village Crossing 18 is easily accessible just 5 minutes from highway 94 with ample free parking. They were very helpful with anything we needed and the entire staff was extremely friendly. I worked with Leslie Jones in planning the event and he was an absolute pleasure to work with. 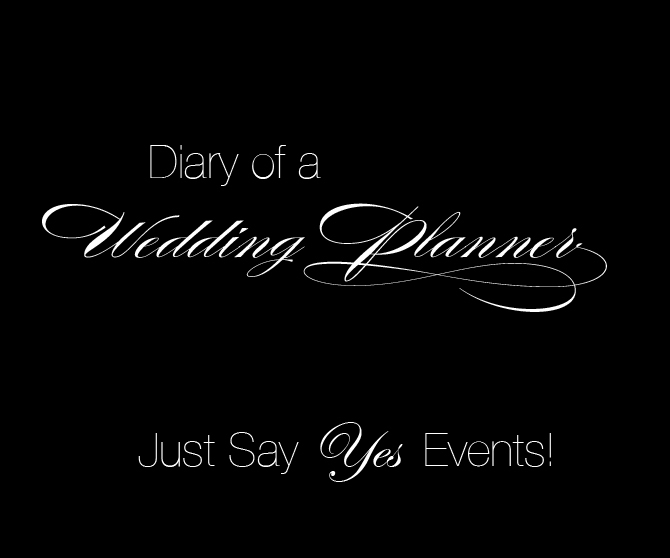 They allowed me to come in a few minutes early to set up which ....as a planner is very important! It was nice to watch the movie all together as they set aside an entire section for us...The best seats in the house of course =) After the movie we played games, ate pizza, opened presents and sang Happy Birthday!! It was a fantastic birthday and we hope Kayla remembers it for years to come! Here's a few images from the party!! 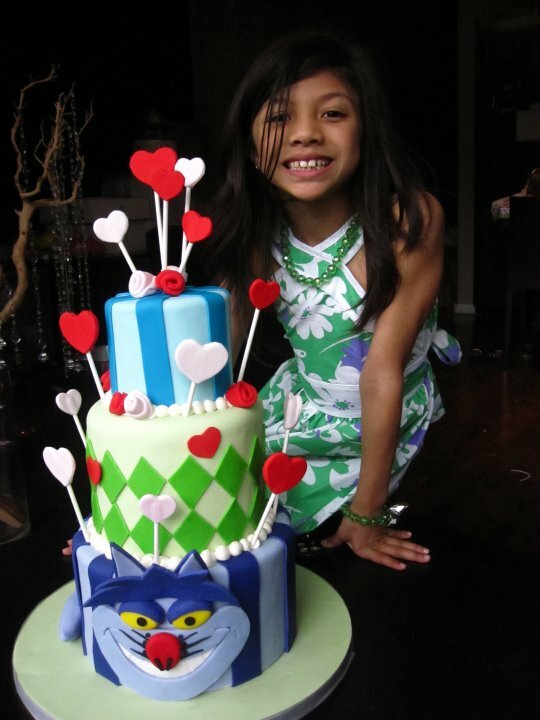 Kayla and her fantastic Alice in Wonderland birthday cake from Flour Cake & Pastry in Oak Park Illinois. Kayla's pretty birthday cake table scape. 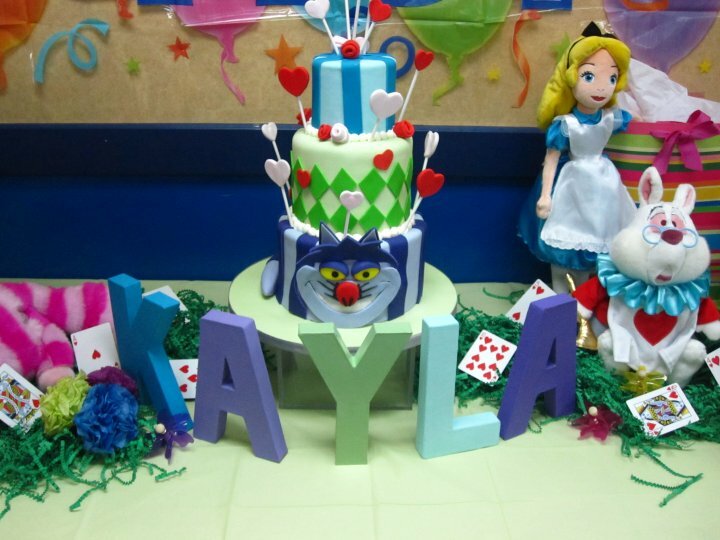 K A Y L A.....I purchased paper mache letters to spell out Kayla's name, we then had a mini craft party and the children helped me paint them in colors to match the decor. The theatre does not allow balloons so I had to be creative to achieve that color in the room without using too many streamers. 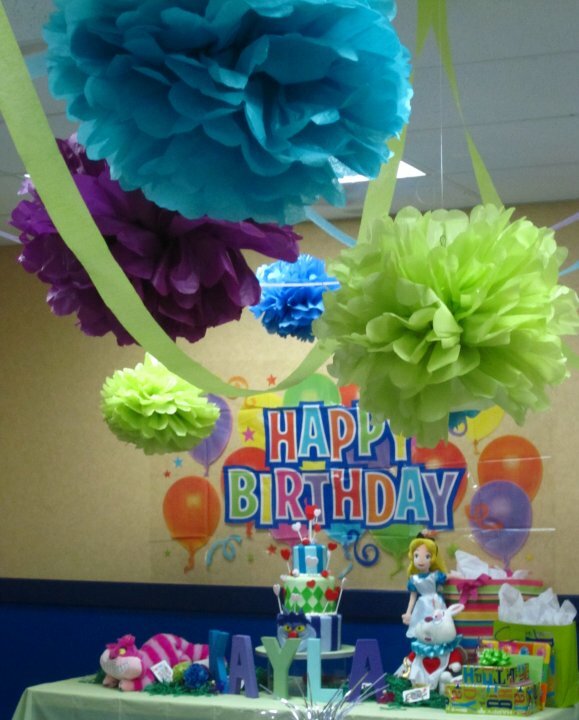 I made tissue pompoms that hung from the ceiling in different colors. I actually loved this look and will try it again in the future. 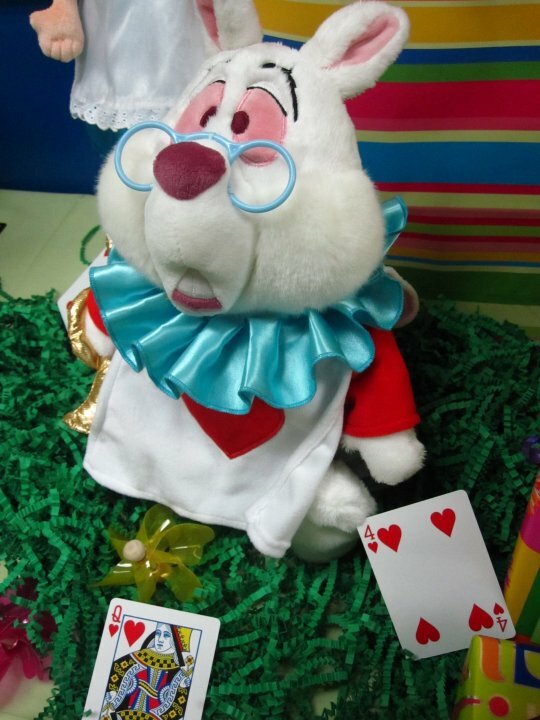 Since the movie was just released the Disney store had tons of Alice in Wonderland themed items. I was able to find these wonderful plush toys that were about 15-18 inches tall. They have Alice, Rabbit & the Cheshire cat available.